Firm Partner and Litigation Attorney David Messer brings a dynamic courtroom presence and significant trial experience to the firm, which he joined in 2007. As a trial lawyer in Oklahoma for six years, David achieved both legally and socially significant appeals and courtroom victories. His current trial practice focuses on a full spectrum of business law, with an emphasis on all phases of business litigation and dispute resolution, including trials, appeals, mediation, and arbitration. 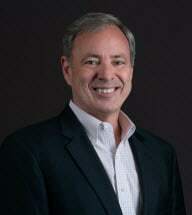 David has been successful in oil and gas litigation, homeowners' association disputes, election disputes, and business disputes of all kinds, including high net-worth matters involving family-owned and privately-held businesses. David is currently licensed by the State of Georgia as well as the State of Oklahoma. He is admitted to practice before the trial courts of Georgia and before all the Courts of the State of Oklahoma, where he has successfully represented clients before the Supreme Court of Oklahoma. He is also admitted to practice in the United States District Courts for the Northern, Middle, and Southern District of Georgia in addition to the Northern and Eastern Districts of Oklahoma, and the Tenth Circuit Court of Appeals in Denver. Graduating with highest honors, David received his J.D. from the University of Tulsa College of Law in 2000. He also holds both Bachelor’s and Master’s degrees in the field of Music. In addition to his practice of law, David serves as an Adjunct Professor at Reinhardt College, where he has been teaching business law and ethics since 2008. His rich base of writing and public speaking experience spans the legal, instructional, and theological fields. David also serves as advisor and consultant to a number of churches and non-profit charitable organizations. David is an avid musician, and he and his wife, Terri, live in Johns Creek.